The Street Basketball Association and the SBA Sports Management and Entertainment Group are pleased to announce that celebrity superstar and 5-time NBA Champion Dennis Rodman will headline the upcoming SBA Show European Tour featuring the SBA All-Stars and a team of former NBA Players. The SBA is managing and directing the Tour, featuring a 10-player team roster consisting of 5 former NBA Players and 5 SBA All-stars, November 9th through November 16th. The Tour will be the first time showcasing a team of former NBA Stars playing together with the SBA Street Ball All-stars. “We are very excited to have Dennis be part of the tour as well as the name recognition, reputation, and star appeal of other former NBA All-stars and NBA Champions, pairing them together with the amazing athletic talents of the top professional street ball players in the world. The basketball fans in Europe are going to be treated to a first class, one-of-a-kind basketball entertainment show,” states Matthew Rosner, Director of Basketball for the Street Basketball Association. 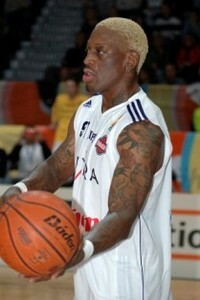 With Dennis Rodman being one of the headliners for the tour this creates additional entertainment value and overall exposure that fuels the anticipation and outpouring of energy from the fans throughout Europe as this becomes one of their first opportunities to witness some of their favorite former NBA Players and SBA Street Ball All-Stars live in front of them instead of on the television or internet. “Dennis’s fans all over the world have always treated us great and he is eagerly looking forward to entertaining the crowds in Europe and putting on a show,” states Steve Simon, Dennis Rodman’s representative at the Prince Marketing Group (PMG) who was instrumental in the SBA’s efforts to secure Dennis as the headliner for the Tour. 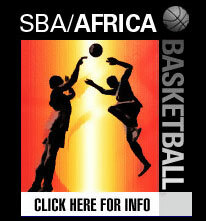 Founded in 2001, the SBA has spearheaded the growth and development of the basketball industry globally producing countless events throughout the United States, South America, Europe, Asia, and Africa from tours, shows, and demonstrations, to competitions, clinics, and expos entertaining and educating fans worldwide. The SBA continues to be a leader in the Basketball development/promotions industry globally implementing and offering innovative and creative basketball sports/entertainment properties to the world. The Prince Marketing Group is a sports and entertainment marketing firm offering an exclusive list of clients and services to organizations all over the world seeking athletes and celebrities to endorse their products, services, or events. Prince Marketing Group is focused on securing marketing deals, bookings for special events/tours, arranging signing/memorabilia appearances, commercial licensing, voice-overs as well as negotiating television and movies deals for their clients. The SBA has partnered with European Sports Promotions Company, Global Projects, securing shows in Antwerp and Charleroi, Belgium and Trier, Germany November 9th - November 16th. With the SBA, Global Projects has aligned itself with the explosive international growth of the SBA, working with an organization that continues to be a valuable asset for top businesses, companies, promoters, sponsors, and teams and leagues in the world seeking basketball/street basketball consultation, development, event/tour management and marketing support.